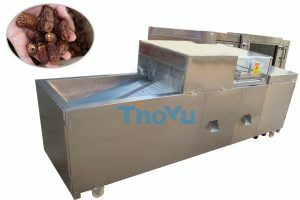 This is latest updated precise automatic blackberry pitting machine.this blackberry pitter machine is specialized used in blackberry, jujube, cherry, olive fruit and designed in high precision to tailor to nuclear equipment, fully according to the characteristics of the fruit, improve greatly. 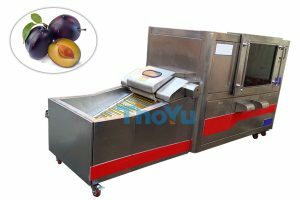 This Fruit in the process of conveying the use of the machine tool to use the process of red core, core fall into the core dust inside the automatic flow out together, rushed through the core of the fruit to continue to transport to the next link to automatically lose fruit, so that the discharge Fruit shape completely unchanged, fruit into the dustpan inside the automatic out of the collection together, so as to achieve the separation of fruit and core. 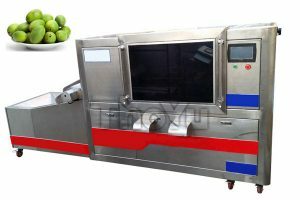 Transmission system using advanced design concepts and standardized components, red core principle of the machine tool to punch the nucleus, so that each device are in line with the highest design standards, high precision, which go to the nuclear rate of up to one hundred percent, and fruit Shape completely unchanged.